Oftentimes, Muslim and Arabs are being stereotyped as belonging to each other’s group. Many believe, to this date, that Muslims are Arabs and Arabs are Muslims. However, this is not always the case. Muslims are individuals embracing the religion Islam, hence Muslims are part of a religious sect. Arabs on the other hand are individuals that dwell or own the Arabian or Arab regions. Thus, they form a specific internationally known nationality. They speak the Arabic (Arabian) language and can choose whatever faith or religion they plan to follow. On the other hand, Muslims can have native tongues of almost any language in the world. Perhaps the reason why the terms Arabs and Muslims get intertwined frequently is the fact that the Arab region is the cradle of religion. 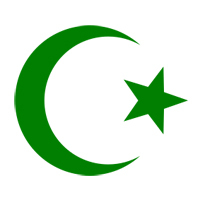 It is where most religions had begun to sprout, which includes Christianity and Islam; not to mention Mohammed (Islam’s prophet) to be of Arabian decent. Yet, it must be noted that an Arab citizen can be of any religious order like: Jewish, Islam and Christianity. Hence, this gives birth to Christian Arabs and Muslim Arabs. In the same manner, depending on your nationality you can still be a devotee of Islam. You can be called an American Muslim or Arab Muslim, for that instance. The Arabs live predominantly within the Middle Eastern nations includingÂ Syria, Saudi Arabia and Iraq while the Muslim congregation lives mostly in Asia (about 60%) while the rest are in the Middle East, Africa and other parts in the world. Lastly, recent world headcount estimates that the Muslim population has grown to as big as 1.5 billion worldwide in 2009 (almost one-fourth of the total population in the world) whereas the Arab people can only sum up to several millions. Thus, it is safe to establish the fact that Muslims are ideally greater in number than the Arabs. 1.Muslim is a type of person who accepts the Islamic religion whereas an Arab is a type of ethnicity or nationality. 2.Muslims can use many different languages since they can reside from anywhere around the world while the Arabs primarily use the Arabic language. 3.Arabs usually originate from the Middle East specifically from Iraq, Syria and Saudi Arabia whereas Muslims can come from almost every corner in the world mainly in Asia. 4.Muslims are practically more in number than the Arab total populace. Julita. "Difference Between Muslims and Arabs." DifferenceBetween.net. September 27, 2017 < http://www.differencebetween.net/miscellaneous/difference-between-muslims-and-arabs/ >. Why are you advertising political propaganda on your site? Do you think white Americans are the only people that might be reading your website?? THE FACT THAT YOU SAID ARABS COME FROM IRAN IS SO IGNORANT. IRANIANS ARE PERSIAN AND NOT ARAB….GET YOUR FACTS STRAIGHT BEFORE WRITING A BLOG. Ifar– It is beyond me how anybody could read plain English yet say that the author refers to Iranians as Arabs. It clearly states that Iraq, not Iran, is Arab. Even that is wrong. Iraq was polluted by Arabs as was Iran and Egypt and lots of polluted places. Arabs are nasty ugly and stupid. Average IQ of like 80. Retards. You look like an Arab. HOW MANY YEARS HAS IT BEEN SINCE WE HAVE HAD A COUNTRY NAMED PERSIA? proudly yes…..arabs are arabs and they never come from Iran. Your average American is ignorant so they don’t know the difference. All Arabs do not necessarily believe in Qur’an. Arabs who believe in Qur’an are Muslims, they pertain to Islam religion. Some Arabs are Christians, Druze, and else. I was born and raised in Arab/Muslim country. I do not believe in Qur’an. I do not believe in Islam. The difference is lots of Arabs are Christians. Not all Arabs are Muslim and not all Muslims are Arabs. What is a Christian? I’m sure a Christian is someone who believes in the Hebrew faith correct? Seeing Jesus Christ was a Hebrew Israelite from the tribe of Judah!!! Meaning he was Ruddy/copper colored correct??? So, are white people in America real Christians??? Because those Christians of the Bible knew Jesus Christ was what modern day times calls black!!! So, so you believe in Jesus Christ that the word of God talks about or a graven or idol god(white man jesus) that man made tradition brought about??? Isn’t there two versions of the Quran. The first which is probably closer to the truth which is peaceful.. The second rewritten by people to brainwash the masses into holy wars.. horribly violent….. Is your birth name Rajinder Singh.. That is the name of my spiritual teacher..? Don’t know if you personally will receive this message.. I would like to complement your statement that the Iranians are not Arab and add that neither are the Moroccans/Tunisians / Chadians/Sudanese/ Egyptians/Syrians/ Lebanese or any other country for that matter other than Saudi Arabia and those genetically connected to that people. Many states may speak Arabic just as many states speak English does not make them English (part of England) So yes maybe we all have to go back to our roots and put history back on the right track. So does an Arab muslim not practise the same Islam as a Pakistani muslim? Hi Cyle! Actually in some cases we could say Arab Muslims practice islam better than us Pakistani Muslims like mostly, we have a bad habit of forgetting those arabic supplications since we are non Arabs while the Muslim Arabs have an advantage as being Arabs because they could easily remember and continue doing their dhikr and recite Holy Qur’an in a more beautiful manner than us Pakistani Muslims. There are many other minor differences too. I hope that you continue your search on this difference topic to learn more deeply about Pakistani and Arab Muslims. The majority of Jordanians speak Arabic. It’s called Levantine arabic like the Palestinians, Lebanese and Syrians. Levantine Arabic is distinctive from other Arabic languages. India and Pakistan and the rest of the Muslim world embraces Islam more than the Arabs do. People from Pakistan do not speak Arabic. Their Quo’ran is supposed to be read in Arabic, so I wonder how Pakistani people could read that book. A Muslim is a follower of Islam. A Muslim is not an Islamic man. A Muslim is a person who belongs to the Islamic religion. Algeria was primarily called Numidia. The country was inhabited by Imazigh. They were not Arabs. It is about the 7th century that Numidia was progressively attacked and invaded by Arabs who brought in the crescent, the sword and the Qur’an. Originally, Numidia was polytheist with pacific people. Same thing with Morocco. In Egypt, the armies of Muhammad invaded and conquered the beautiful egyptian country killing thousands of peaceful people. Today, in Algeria, lots of Imazigh do not speak Arabic by choice. Arabs killed Amazigh by the thousand. No my friend. Arab is a race just like Europeans and Africans. There are Arab atheists,Christians,Jews and Arab Muslims but majority of Arabs are Muslims! And sorry if I hurted your feelings brother! I learned also that Arabs were/are Nomads. Some Arabs can be Atheists. Some Arabs believe in God, such as Christians. Some Arabs are Druze. Arabs are members of a Semitic people, originally from the Arabian peninsula and neighboring territories, inhabiting much of the Middle East and North Africa – relating to Arabia and the people of Arabia. Arabs refers to those who speak Arabic. Arabs are counted as white. The Arab world, also known as Arab nation or the Arab states represents at least 22 islamic countries. 2 billion Muslims in the world only 12% percent are Arabs. I’ve found this page to be very informative, as well as the comments. Thanks. Cyle Peters: IDK, but arab atheists DOES exist. How many, Im not aware of, but you find them here and there on the internet. Well first,I would like to comment the people who said that this author wrote IRAN acually guys if you read correctly he wrote iran. Second, in Islam, the number of prophets who were Arabs are counted in 1 hand which is 4 not all of the due to many reason. Very informative. I really got more important information dat i needed. Can any one clarify to me of which religion was Prophet Mahomed before Islamic religion was born? The Arabs are people who used to live in what is now Saudi Arabia. The rest was occupied by various cultures and communities like Asyrian, Coptic, Amazighi… and spoke various languages. The Arabs, with the leadership of Islam and Muhamad, invaded the other lands and forced people to convert to Islam and to use the Arabic language (being the language Mohamad used to write the Quran). Today, we can fairly say that the Arab countries are Islamic countries by forced and oppressions – every Arab country, except for Lebanon, has an Article in its Constitution which says that “Islam is the religion of the country and the main source of legislation is the Islamic Sharia”. This does not mean that the same laws apply on all since the non-Muslim is ahel dhimma (second class citizen) according to the Sharia. He hence does not have the same rights as the rest. The truth is, those who were able to remain non-Muslim, the original people of the land, are economically politically and religiously persecuted – and has always been – and this explains why the multiplicity in what is now the Arab world has disappeared. Of course, books of history and social sciences published by the Arab/Islamic countries misguide their population and enforce amnesia.